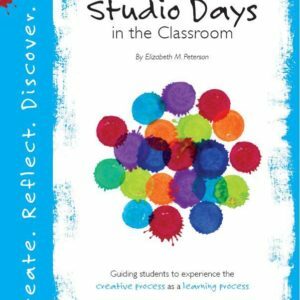 Last Friday I started implementing Studio Days into my classroom. 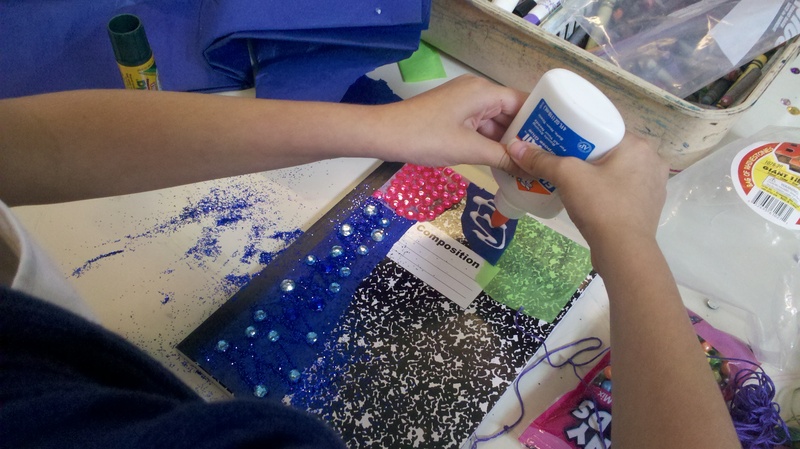 These are days where students are able to work on one project from start to finish uninterrupted. The days always begin with an introduction to the project and end with reflection time. In the middle is an extended amount of studio time where students work. I first blogged about Studio Days in September of 2010. This post describes the days in more detail. I created and started using Studio Days two years ago with my students and the reaction has always been a positive one. Kids love it because they think it’s a break from regular work. 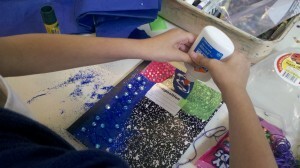 They also love the fact that they can work so purposefully on a project and see it through from start to finish. I love these days because they allow students to go through the creative process and then reflect about it. They learn about their learning. This type of self-discovery through the creative process can be so powerful for students and adults alike. During our reflection time, I ask students questions about what they did, the materials they chose, how they worked, and ultimately what they learned about themselves as learners. Students start to discover how they make decisions. For example, I had one girl discover very concretely how much she relies on her peers when she started to realize all her ideas came from those she sat with. Another student one year discovered how much he can get sucked into one aspect of a project as he spend over 45 minutes mixing paint to get just the right color. 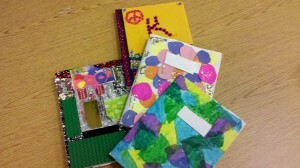 I started this year with a Studio Day where students designed a cover for their 4th grade reflection journal. We took regular composition notebooks and each student made their journal personal. 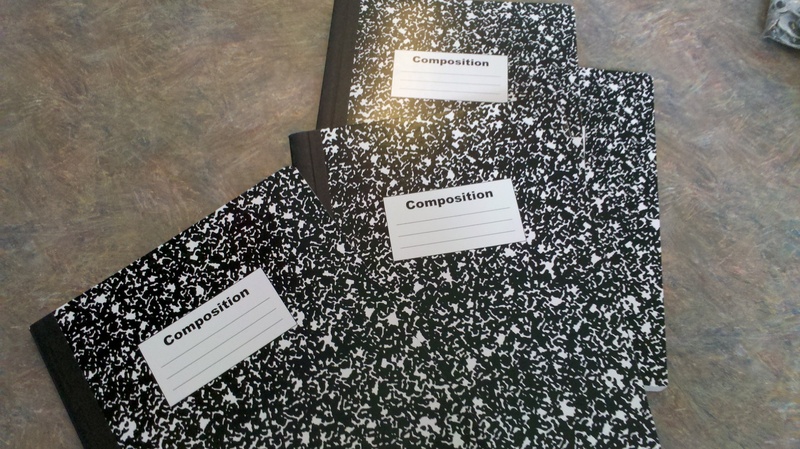 I was intrigued by how this otherwise chatty class was so focused the entire two hours we took to complete the journals. They were quiet and respectful, sharing materials and showing interest in others’ work as well a concentrating on their own. One thing I like about Studio Days is how it sets the tone for the year. It shows that we will be a creative class that works together and encourages one another. The creative process shouldn’t be a mystery to students. They should live it and be cognitive of it so that they can work towards becoming better learners. Studio Days certainly help make that happen. I look forward to having a Studio Day with my class once a month this year.